During this powerful hour you will…. This class has transformed my life. It has given me the strength and courage to pursue my goals and dreams. Thank you! In the “Everything Guide to Angels” Karen’s interpretation of the angelic realm is a fantastic read. I couldn’t put it down. I read the whole thing in one weekend and am on my second pass getting ready to implement her ideas on cassette so I can use her meditations. I loved the format and it is filled with so many helpful hints on how to manifest your destiny. Thanks and can’t wait for the next one. Since I attended your “Hypnosis for Weight loss” seminar in January, I’ve lost 45 pounds! I’m still listening to your CD every evening and the weight is just melting away! I’m a yoga teacher and my students are always commenting on the difference in my physique over last 6 months. In fact, one of my students was so impressed she will be attending your seminar tonight! Thank you for your help in making this transition so easy. I can’t believe I’ve lost almost a quarter of my body! I wanted to give you an update, I have lost 141 pounds since we first met. I can’t believe how much my life has changed. I am still working out 7 days a week. Not bad for someone that didn’t like to walk to my car because of the knee pain. Karen plays a significant role in my learning and evolution. 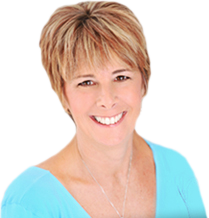 Karen’s commitment to being in service to Spirit is a continuing process as she brings new leanings and modalities to us. 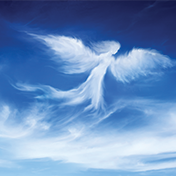 I have been blessed to participate in both Angel Certification classes and the Soul Entrainment™ training. Karen makes each class a journey of healing. Anyone taking a class with Karen will also feel blessed. I am truly blessed to now help others through past life therapy as they re-discover the truth of their soul. I am grateful to witness others as they choose to learn through life’s lessons and find true purpose and meaning in their lives. I promised I would keep you up to date on my weight loss. I have been doing great. I have lost 90 pounds since I first saw you back in late April. That’s 90 pounds in 7.5 months. Thank you Karen. Karen was magic in her own way. An excellent presentation, and she is truly devoted to her work. She is willing to generously share with others, and I found Entrainment helpful and enlightening. I have discovered, through my work over these 40 days that I have spent my life being my own worst critic. I would never treat someone else the way I’ve been treating myself all these years and what an eye-opener that realization has become. My work with you has helped me to see and feel the difference. Since I have been on this 40-day journey “What Would Love Do?”, I have begun to see everything in a new light. I have become much more conscious of what I say and do and in return, people seem to be reacting to me a little differently.